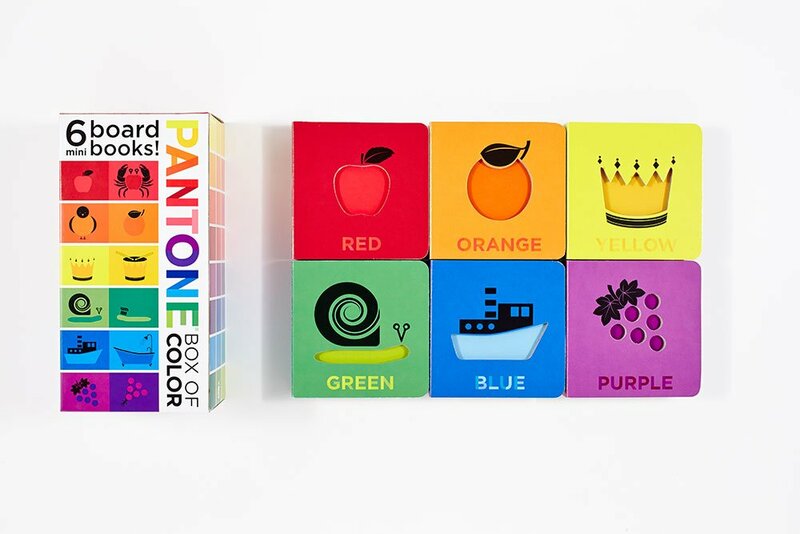 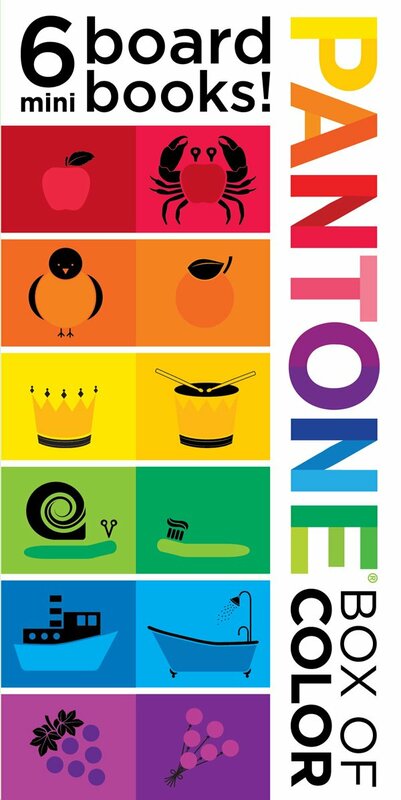 This beautiful box is brimming with gorgeous PANTONE colors and surprises. 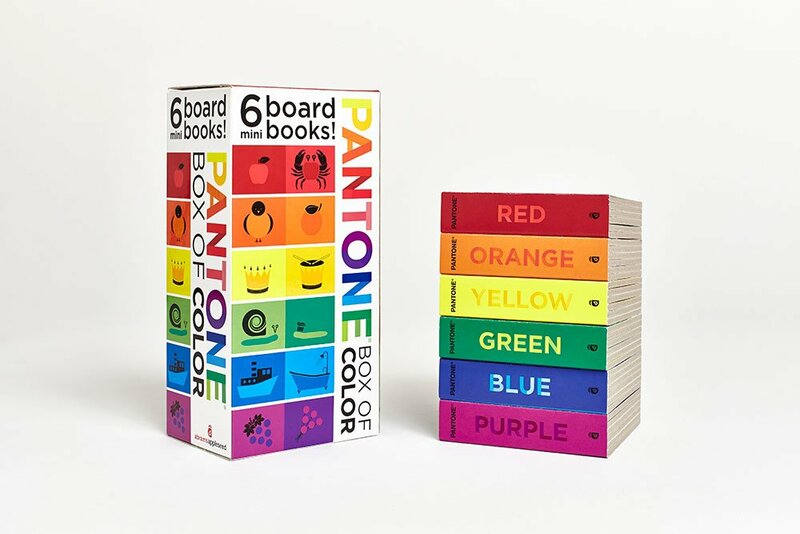 With a volume for each color of the rainbow—red, orange, yellow, green, blue, and purple—these six chunky board books feature simple peek-through cutouts that transform as you turn the pages. 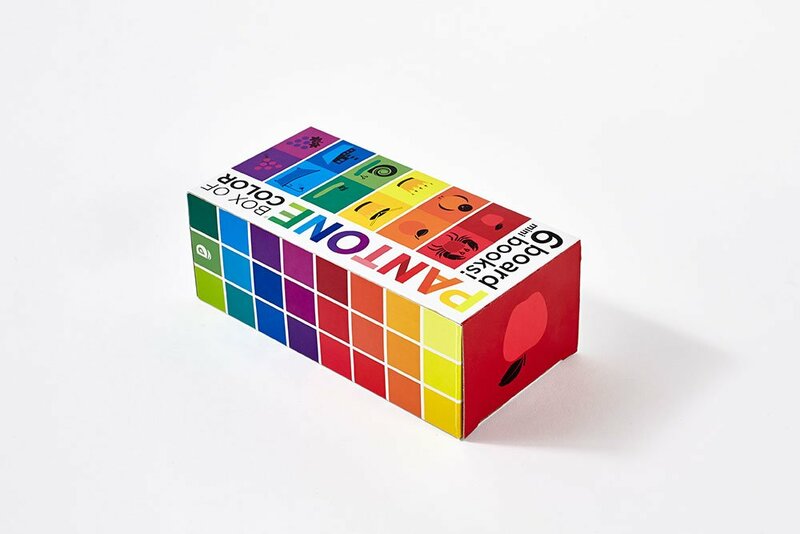 Simple text prompts parents and children to label objects and observe lighter and darker shades of the same color family, promoting a new way of noticing the colorful—and surprising—world around us.